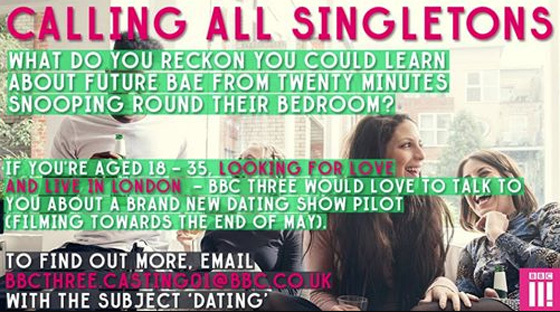 BBC Three are looking for young London singletons to take part in a new dating show format. 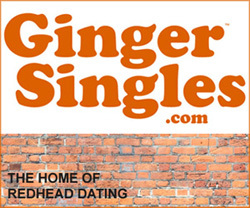 Singles aged 18 – 35 who who rent or live in London! The house we live in and the way we live in it is one of the most revealing things about ourselves! Forget the face, in this show young singles choose their date based purely on the space they live in! 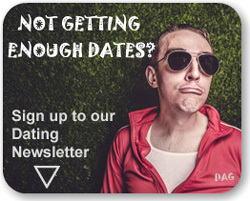 Fancy twenty minutes snooping round your potential dates home? Then get in touch with BBC Three this summer. 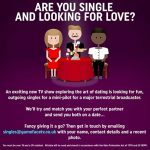 This entry was posted in Casting Call, Dating Ideas, Dating in London and tagged BBC, BBC Three, Be on TV, Casting Call, London Dating, London Singles, Reality TV, TV Dating, TV Dating Programs on June 25, 2018 by admin. MTV’s Catfish, the TV series is coming to the UK in 2016. Would you like to appear on the show? Are you in an online relationship but you have never met in person or even seen each other on a webcam? Do you want to get something off your chest, make your dream a reality or get to the bottom of something you are not sure about? Catfish The Movie 2010 – By filmmakers Ariel Schulman & Henry Joost. A documentary style film about a young man called Nev Schulman and his online relationship with a person called Megan.. This entry was posted in Casting Call, TV Dating, Uncategorized and tagged Casting Call, Catfish, Catfish Movie, Catfish TV, MTV, Nev Schulman, Reality TV on February 2, 2016 by admin. 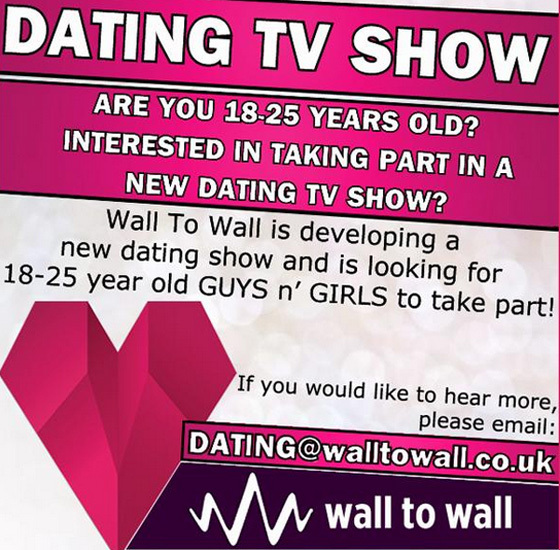 Single and ever fancied appearing on TV? 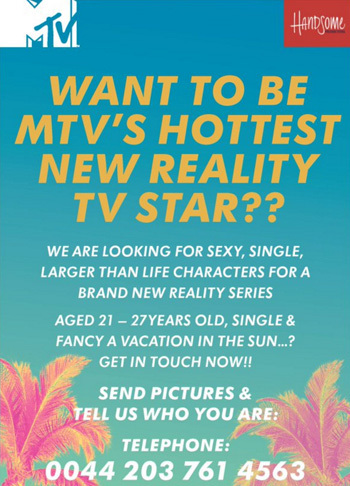 Well here is your chance at a big break with two UK casting calls for reality TV dating shows. 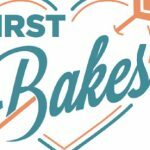 The first is with Dragonfly.tv. They are looking for single parents who have children aged between 9 and 15. 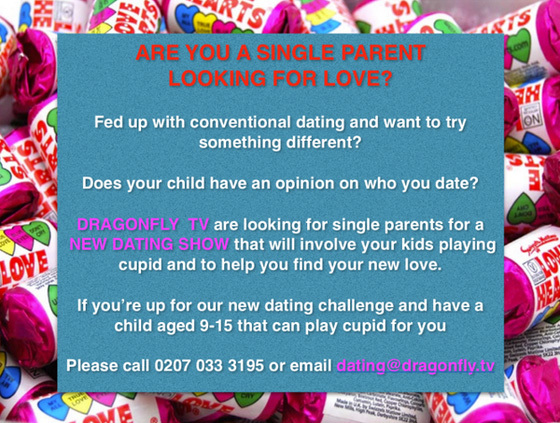 The kids would play cupid to find you reality TV match. Dragonfly have produced programs such as The Hotel and One Born Every Minute. The second offering is for singles aged 18-15 years old with Wall to Wall, producers of The Voice UK. This entry was posted in Celebrity Dating, TV Dating and tagged Be on TV, Casting Call, Celebrity Singles, Dating Show, Dating TV Show, Reality TV, Single Parents, Singles on January 29, 2015 by admin.